The Home Secretary has said the “horrific abuse” reported in Newcastle is not new. Theresa May was asked to ensure police cuts would not hinder an investigation into the abuse of children and young adults in care in the city’s West end. Newcastle Central MP Chi Onwurah raised the arrests in the House of Commons yesterday as police were still knocking on doors and arresting suspects in the North East. The Labour MP said she wanted to know how Home Secretary Theresa May could justify the closing down of a city police station even as the inquiry continued. Northumbria Police faces some £67m worth of budget cuts at a time when crime across the force is rising. 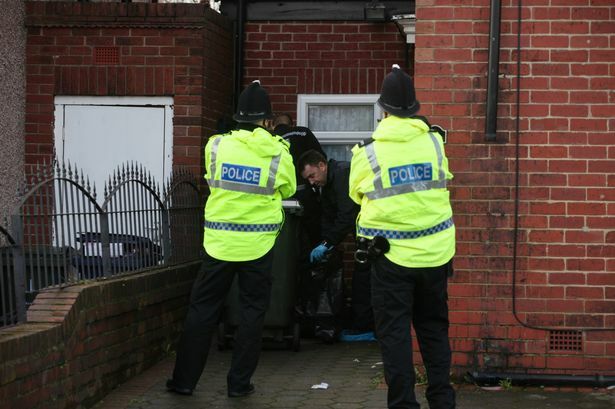 Ms Onwurah said: “This morning Northumbria Police arrested eight people as part of Operation Sanctuary, an investigation in horrific allegations of sexual abuse of looked after young girls in and other vulnerable victims in the west end of Newcastle. “Police have assured me they are working with safe guarding agencies and local community groups to protect the victims and pursue perpetrators. But the police station in the west end is to close as part of the £67m worth of cuts. But Mrs May, who said Northumbria was rising to the challenge of budget restraints, said the cuts would not impact on the investigation. She said: “I recognise the sort of case the honourable lady has raised. Sadly we are seeing too many cases like this where there is horrific abuse of particularly young girls. Thames Valley Police investigated cases of physical and sexual abuse of vulnerable girls in Oxford in an investigation which saw seven men jailed. Ms Onwurah later added: “I have spoken to the police about their investigations into these very serious reports of sexual abuse.